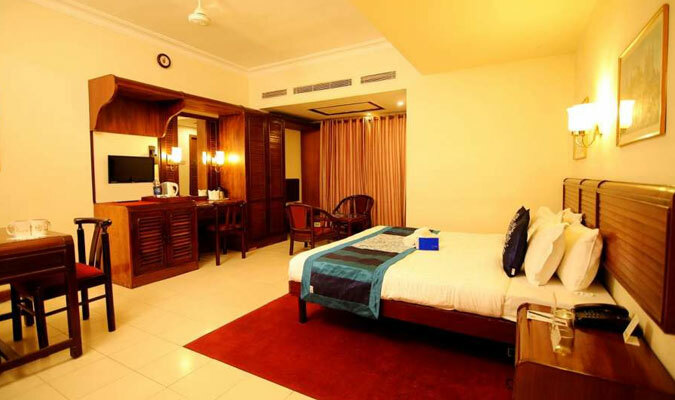 Located in the heart of City Jos junction, Yuvarani hotel Cochin is 28 kilometers away from the Cochin airport and three kilometers from the Ernakulam North Town Railway Station. With world class facilities and superb luxury, the hotel makes a good choice amongst family vacationers as well as business travelers. The hotel is perfect place to stay for those who have budget constraints but do not wish to compromise on the comfort levels. 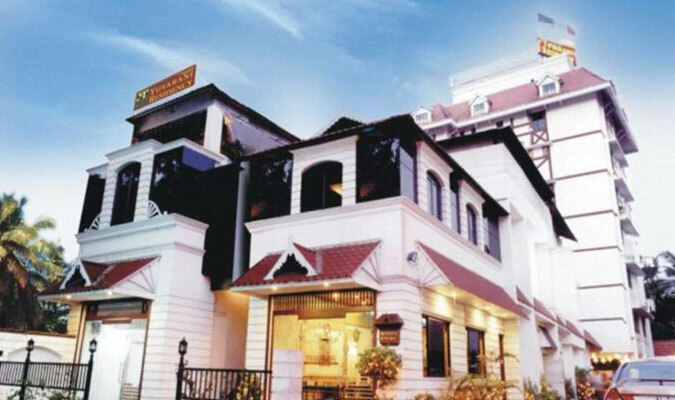 For the entertainment of the guests, the hotel makes special arrangements for sightseeing excursions that provide a deep insight into the city of Cochin. Standard: Simple rooms at very affordable rates, they provide numerous amenities and are complete value for money. Deluxe: Guests who stay in these rooms enjoy an exciting luxurious stay. All the modern facilities that are required by a modern day tourist hare provided in this room with complimentary Mineral Water and Fruit Basket on arrival. Mini Suite: For a royal treatment, these rooms are perfect. The rooms are very spacious with a separate seating area and bedroom. The bathroom contains a bath tub in these rooms. Executive Suite:These suites contain two rooms: a living room and a bedroom, divided by a wooden door. World class amenities are provided in these rooms along with a special feature i.e. a well stocked bar counter. Cheenavala: The in house multi-cuisine restaurant offers anything and everything starting from Continental, Chinese and Indian. Seafood and traditional Kerala food are the specialty of this restaurant. To make the atmosphere more pulsating and energetic, the restaurant also arranges for live music. Tharavadu: The cozy and quiet coffee shop, although exclusive and private to hotel residents, is reasonably priced. Junction:The bar includes a wide variety of wines and liquors.